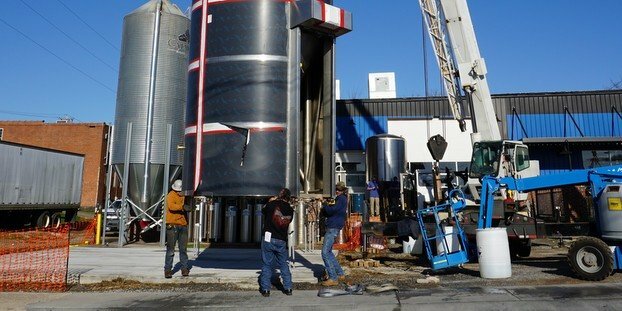 Foothills Brewing has been sending out steady updates on its a new 50,000-square-foot brewing facility over the past few months, and the latest news from the Winston-Salem, N.C., brewery is the first of four 200-barrel (bbl) fermentation vessels has been installed. The vessels were ordered in December from Specific Mechanical in British Columbia. Two were delivered to Winston-Salem last week, with the remaining two scheduled for delivery the first week of May. Foothills Brewing is marching right along in its expansion, adding the first few new vessels last week. All told these additions will increase the company’s production capacity by 72 percent as Foothills brewed 13,000 bbls in 2012 and will now be capable of brewing 40,000 bbls annually. Bartholomaus believes the new 23-foot high tanks will allow for better expansion into other markets, including South Carolina, Virginia and Tennessee. The increased production capacity will also give Foothills an opportunity to diversify, according to Adkisson. 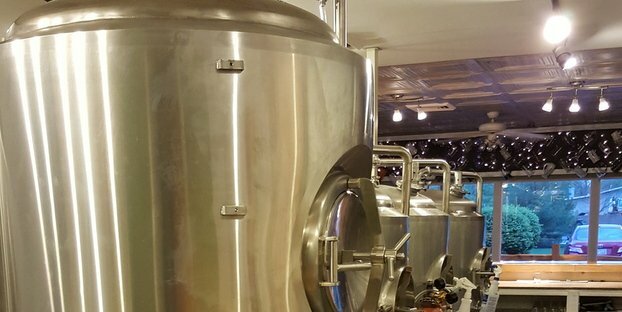 That could include brewing small batch beers at the company’s popular downtown Winston-Salem brewpub.